This new Fremont clothing shop puts a sporty twist on vintage. Rio Estolas has gone retro. The former owner of Ballard streetwear shop Officials Urban Clothing (which closed in 2004), Estolas has blended street and sport at his similarly named new venture, Officials Vintage (Fremont, 3602 Palatine Ave. N; 206.257.5027; officialsvintage.blogspot.com), a quaint showroom stocked with old-school sportswear. 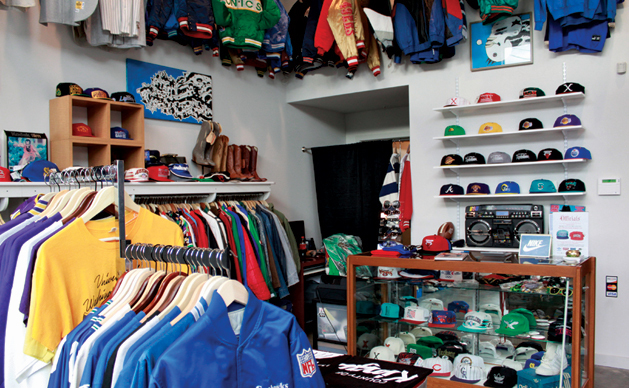 Open since last fall, the boutique’s selection of deadstock (not previously worn) swag includes Starter coats, snap hats and high school letterman’s jackets. Sports junkies salivate at the vintage jerseys, representing both out-of-state and Seattle teams (Seahawks, Mariners and, sniff, the Sonics), as well as locally made urban hoodies and hats from brands such as Emnace and Life of Villains. Estolas scavenges finds from outlets around the world and recently scored a pair of mint-condition 1982 Adidas Top Ten sneakers, still in the box, for $150.